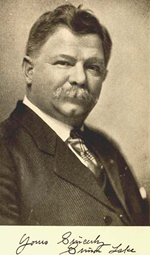 In 1893 the US Navy sponsored the Great Submarine Contest which pitted New Jersey's Simon Lake against John Holland and others. 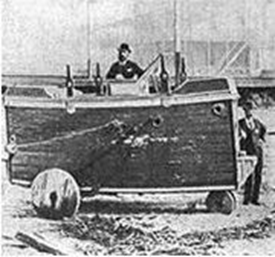 Lake had conducted early and successful submarine experiments in the Shrewsbury River near his home in Atlantic Highlands, and at the confluence of the Navesink and Shrewsbury Rivers, where he piloted a wheeled wooden submersible along the bottom of the rivers. In this presentation, Rick Geffkin, a local noted historian, reveals images and stories about Lake’s failures and ultimate triumphs.